Ibn Khaldun Islamic Primary School has been establisbed to cater for the need of an integrated education system which combines the academic and religious curriculum. The demand from the public to send their children to this school has increased significantly in recent years. New school buildings need to be built in order to cater for this demand. 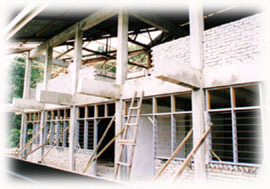 The school needs financial assistance to build them. The existing school classrooms are only sufficient to cater for 1998 school enrolment.The school is in dire need of adding more classrooms especially for 1999 school intake which starts in January 1999. 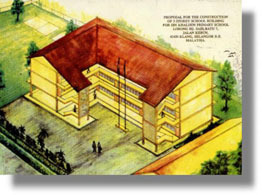 The existing school buildings are only sufficient for use until the year 2000. The school is planning to build a three storey school building with 15 classrooms for long term future use. The cost of this building is RM870,000.00 (Ringgit Malaysia: Eight Hundred and Seventy Thousand). We wish to request donors to contribute to this building fund so as to enable the school to succesfully build this proposed building. We wish to record our sincere thanks to all donors for your financial assistance. We truly appreciates that your assistance have enormously contributed to the success of completing the construction of the school building. We pray that AlIah(Subhanahu wata'ala) accepts your contributions as good deeds. We also pray that your whole life is blessed by Allah(Subhanahu wata'ala) and you are lnsyaAIIah, granted success in this World as well as in the Hereafter.